TNI Bureau: On September 10, 2012, we witnessed a complete shutdown in Odisha during the ‘Odisha Bandh’ call given by the Congress Party to protest against the alleged police atrocities on its party-workers by the policemen at the September 6 rally. Be it apprehension or fear psychosis, the bandh was observed across the state, which boosted the morale of the Congress. But did the people support it wholeheartedly? The Congress was not the only party to enforce a bandh in the state. On May 31, 2012, the ruling Biju Janata Dal (BJD) had enforced a shutdown across Odisha in protest against the fuel price hike. Even the BJP and Left parties held separate bandhs on the same day to make the bandh more intense. We witnessed another bandh by the BJP-led NDA, Left parties, Samajwadi Party and many others on September 20 in protest against fuel price hike and FDI in Retail sector. Fortunately, the BJD did not support the shutdown due to Nuakhai celebrations and other political parties kept Western Odisha out of ‘Bharat Bandh’. 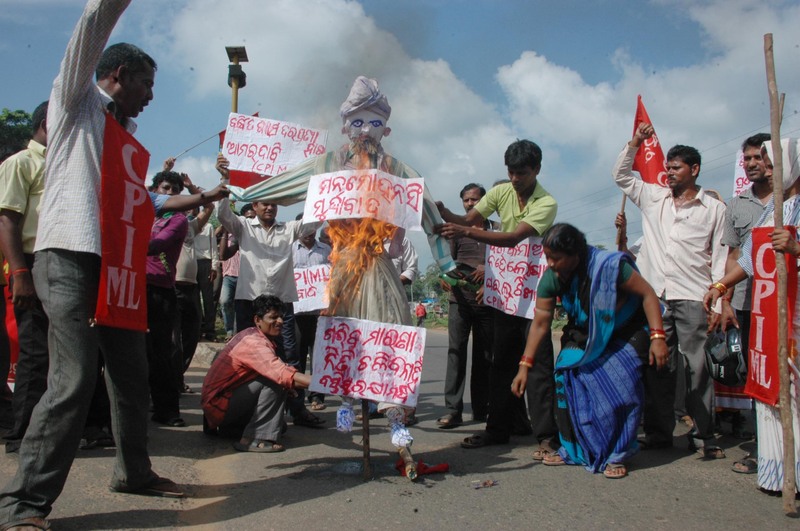 But the impact of the strike was felt everywhere, including Bhubaneswar and Cuttack. Saumya Priyadarshini, who works with a Content Development firm in Bhubaneswar, has narrated her horrible experience on September 10. She took an auto rickshaw at around 7AM to go to her office. On the way, some Congress workers stopped her auto, beat up the driver mercilessly and abused the girls who were inside. She was in tears and walked down over one kilometer to reach Vani Vihar square. She had to pay Rs 100 to a auto driver, who dropped her at Bomikhal. Saumya has resented the incident and makes a strong pitch that the all essential services such as communication, transportation, hotels etc should be excluded from the bandh and hartal. During the bandh, cadres of the political party and workers hired by them, go on a rampage and beat up the commuters who dare to venture outside for some work. They damage the cars, auto rickshaws, bikes and even manhandle the people in some instances. This is a dangerous trend. Many taxis, auto rickshaws always try to take advantage of such situation, by charging a huge amount to the passengers. The common people find no option but to accede to their demands. Since all shops and business establishments remain closed, those who dare to open their shops do not hesitate to exploit the people. All political parties should keep it in mind that their ultimate goal is to gain the sympathy and support of the people, not to show muscle power. If they continue to cause inconvenience to the people, they will prove a point before the camera, but they would eventually alienate themselves from the common people. Such massive bandhs also affect medical services. Many people don’t get any vehicles to take their kin/relatives to hospitals in case of emergency. In some cases, people miss the flights, trains etc, which affect their business, career and credibility too. The political parties, which enforce the bandh, hold press meets at the end of the day and boast of success. Ironically, they thank the people for making the bandh a huge success, but do not bother to know what type of hardship common people face during the shutdown.